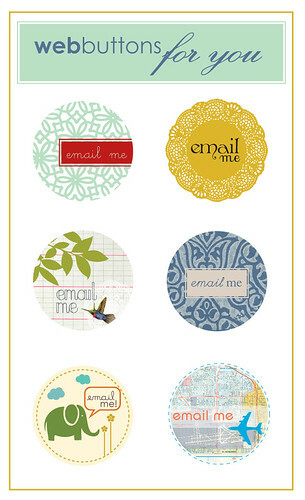 Here are some email blog buttons for you, friends! If you really can't and want me to change the color or add text for you, just leave a comment and I can do it for you. I will need to find things to do to keep me busy since I'm a hobo now, no job! Umm..LOVE these! I am totally going to use one, but how to choose? They are all so great! I have horrible technical skills so I don't know how to do cool stuff like this. BTW, I was thinking of changing my blog header...would you be interested in designing one for me? (I'll pay you of course). i think im going to use the yellow one! Oh man, I wish that these matched my design. I'd use them in a second! totally added one! love it. thanks. Thank you! Thank you! Thank you! I love my button! found this from sweetiepie pumpkin. how nice of you to offer such a lovely treat for our blogs. first time to visit, i'll be back. thanks again. p.s. i picked the bird, it goes with my theme. have a great week. these are SO adorable. You are too sweet to give these away for all of us, and I can't wait to make use of them!! Thanks for the button! You can check it out at my blog! Love it-- you are amazing! I just added one to my blog. Love! I haven't added a credit yet, but I will. these are great! thank you for sharing, for free! now i have to figure out how to add them and have it link directly to my email?? These are so awesome ! I love every one of them!!!! Thanks so much for letting us use them! 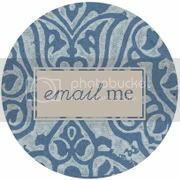 Just to let you know I've used your gorgeous Elephant Email Me blog button on my blog. Thanks! thanks so much for this. i used the yellow one in my blog banner i just made. [which took me nearly all day because i have no idea how to make them] but thanks again! your work is inspiring! and i hope you don't mind i used a lot of your color pallete so i can use your email me buttons as well. p.s. love your book you made your boy! so cute! i made a photo transfer book for my husband when we were dating for valentines day and it was fun! i'll have to post about it. it may be something you are interested in doing. i'll snag the lovely doily one, i think. thanks! these are awesome! Oh thank you so much! I love the blog buttons and I love your blog!!! I became a follower of yours - I hope you don't mind! i used the doiley one, thank you so much!! I used one too- they're great. Thanks for doing this especially since I don't have the skills to do something like this on my own. Beautiful! Lovely! I am going to use the blue one! Thanks again! Thank you so much for the buttons! I wish I had a talent like that! I found you thru Living Locurto. Love your blog, it's going into my fav's! Hi, I used one as a "Home" button on my blog. Thank you so much for all these delightful little bits and pieces! They're beautiful. thanks so much! I just need to figure out how to link it to email me? Or is it just a reminder? Thanks for sharing your talents! I love these! again, so sweet to share, how lucky are we!! now, I just need to figure out how to use it. how do you? and can I set it up to actually link to my email? also, what do you charge for some blog makeover work?! 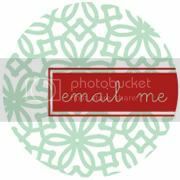 I would love to have a little facelift on my site! I love your site. Your so talented! - but I am a little confused. 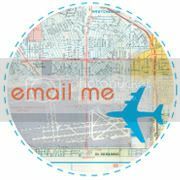 I have placed your mustard "Email Me" doily button on my side bar, but I have no ideas how to link it to people can email me? Can you provide me with "html idiot" instructions? I'm using the minima template from Blogger? 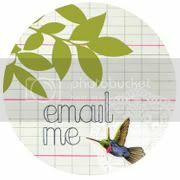 Your email me buttons are great :) I posted the blue w/red one to my brand new blog: www.rockhilldesigns.blogspot.com. Thank you, but I don't know how to actually link my email to the button....can you help?! Thanks so much! I used two of your buttons for my blog. They are great!!! SO adorable!! I used a blank one on my blog http://mama-miablog.blogspot.com THANK YOU!! Hi, I'm going to use the yellow onw. No wait!The elephant. Oh its so hard to pick one! I guess you'll just have to take a peek at my blog to see what I use. Thanks for putting them up. hi, love your buttons! 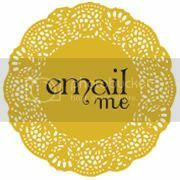 im new at this and just wanted to let you know that i used your yellow 'email me' doily button. i tried to change it to 'i love comments' but as i said, im a rookie! these are the cutest things i have ever seen!! and how sweet are you to share with us?! Thank you, thank you! love them!! I used the button with the blue aeroplane. They're just beautiful - please do visit my blog to see this in action. Thanks so much! I've used your beautiful elephant button. I just added the yellow doily to my blog. Thanks so much! Ok, I'm so confused of how to use these buttons. How do I add them to my blog? Someone help! THANKS! I will be using the blue circle one at www.apronsandapples.blogspot.com a crafty healthy DIY blog. I used the simple instructions from http://homeschoolcreations.blogspot.com/2009/06/how-to-add-email-me-link-to-your-blog.html To get the html right to send me mail. Wow! These are lovely! Thank you so much for so graciously sharing them with us. I used them on my blog. Thanks again! Thanks so much for these... I'm def. 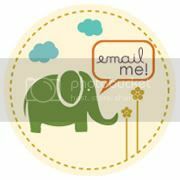 going to use the cute elephant one andgoing to add your awesome blog to my list to share! I also just came across your blog. I'm using the first button on my blog now. These are so great! Thank you! Using the yellow one!